As a property manager or small-business owner, asphalt repairs can be a challenge. Hiring a pro can be expensive. And doing it yourself with conventional cold mix products yields less than pro results. Want to change all that? You can do a professional-grade repair on your own with the fast & easy, professional-grade premium asphalt product: EZ Street cold asphalt. All you have to do is sweep out the hole, toss the product in the hole, compact it and walk away. Professional, permanent and done. Here’s an example of how well EZ Street asphalt works in the hands of someone using it for the first time. The location is Maplewood Village Center, a shopping center in Arvada, Colorado. Buying the EZ Street product in a one-ton bulk sack, the gentleman also rented a vibratory compactor. On one morning in April 2015, he executed the repairs himself. These photos, taken six months later, show how well the repairs are holding up. This is true, paving-professional quality costing just a fraction of the price and a little sweat equity. 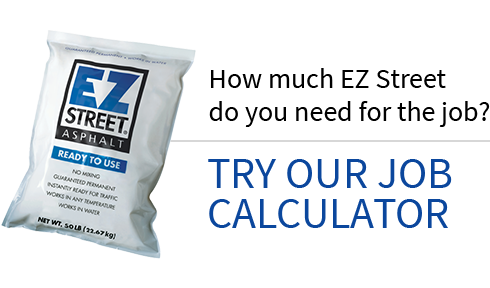 Whether you’re repairing parking lots, driveways, walkways, golf cart paths—whatever the job, asphalt or concrete, EZ Street cold asphalt lets you or your maintenance department do the job with permanent and professional results. Compacting with a hand tamp is sufficient. Local rental of professional equipment like a vibratory compactor is still cost effective. And you can even toss the product right into a pothole filled with water. 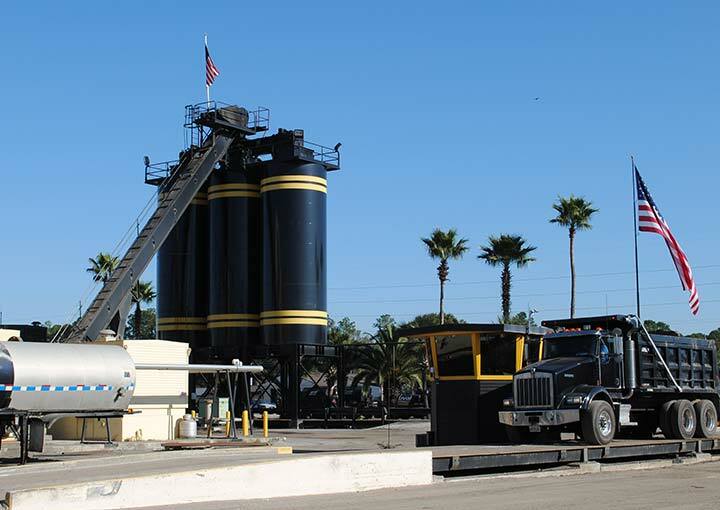 EZ Street asphalt’s polymer-modified asphalt blend displaces the water so you don’t have to worry about it.